Northern Europe is facing surging growth of international traffic resulting from the perfect storm of bandwidth consumption coming from a broad range of sources from cloud-based business services to consumer-based streaming video and social media. In the Nordic region, these trends are exacerbated by the ongoing establishment of mammoth international data centers in the region. These trends have led to existing optical networks in the region being notably challenged. Most Baltic, Finnish, and even Russian Internet data traffic takes detours through Scandinavia on infrastructure struggling to maintain pace with voracious bandwidth demands. Traffic passing through Sweden and onwards to continental Europe requires increased redundancy to maintain constant network availability of services. Much of the international fiber cables currently in use in the Baltic Sea were deployed around the year 2000 and are now, slowly but surely, beginning to age. All these factors add to the need for new international fiber infrastructure in the region. These industry trends have led to an increased market demand for dark fiber that offers benefits related to security, redundancy, and control, which is over and above offering massive capacity. Due to recent leaps in optical modem technology, the economic threshold to light up dark fiber has become far more cost-effective than was the case a decade ago, making dark fiber now an economically viable business case for users requiring significant amounts of network capacity. Eastern Light is a private company founded in 2011 based in Stockholm (Sweden) founded and managed by experienced entrepreneurs with experience in fiber infrastructure development across the Nordic region. They identified that although dark fiber was readily available locally, it wasn’t available along international routes across Northern Europe. It’s precisely this market gap Eastern Light is laser-focused on addressing by deploying a series of dark fiber routes connecting several countries surrounding the Baltic Sea in Northern Europe. Their corporate goal is to address voracious and growing demand for long-haul dark fiber routes across Northern Europe. Besides deploying dark fiber routes, Eastern Light will also build and maintain a series of purpose-built shelters along these where their customers can install and operate equipment of their choice. Being completely independent, Eastern Light allows their customers to choose transmission equipment of their choice by providing an open dark fiber cable infrastructure. One of the most significant benefits of the “open” movement is “choice”, which is precisely what the dark fiber network offering from Eastern Light delivers. After years immersed in the critical planning stages, Eastern Light started the construction of an entirely new festooned (daisy-chained) submarine cable network across the Nordic region. 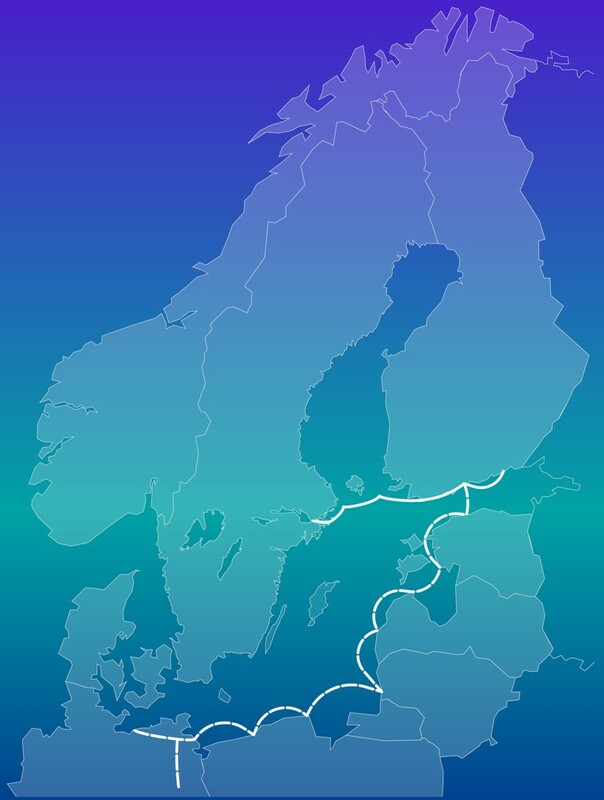 The first phase of construction includes two new subsea cable routes in the Baltic Sea. The first route connects Sweden (Stockholm) to Finland (Hanko, Helsinki, and Kotka) with an RFS (Ready for Service) date in the fall, 2017. The second route is scheduled to be deployed by mid-2018 and will snake southward from Helsinki (Finland) to connect several locations along the coasts of the Baltic states of Estonia, Latvia, and Lithuania, then onwards to Poland and Germany. In parallel, they’re constructing a new duct-based fiber network inland from the German coastline at Zinnowitz and onwards to both Rostock and Berlin. The overall network results in a new and unique dark fiber route interconnecting Sweden, Finland, Germany, Poland, Latvia, Lithuania, and Estonia. Eastern Light’s main product is the dark fiber IRU (Indefeasible Rights to Use), which means a customer purchases the right to use a dark fiber pair, for example, as they please for an extended period, typically around 15 years. Customers are free to install any optical equipment on their dark fiber that’s best suited for their specific application needs. Eastern Light’s “dark fiber” refers to an unrepeatered submarine infrastructure where cable segments hop along the shorelines at approximately 100km intervals into onshore purpose-built shelters that are connected to landing points where rack-space, power, diesel power backup, and HVAC control for customer equipment is provided. From these shelters, onward connections are available to local, regional, and national fiber networks. Dark fiber IRUs are offered for the cable network’s entire length or segments between specific locations. It’s this dark fiber flexibility that’s unique to the targeted region. Eastern Light’s strategically chosen dark fiber routes are geographically different from existing routes providing their customers with improved security, reliability, and network diversity over shorter distances resulting in increased network availability and lower latency – a unique regional differentiator. These routes, and landing points, are solely owned and operated by Eastern Light. To facilitate the lighting of capacity along dark fiber routes, Eastern Light has been working closely with Ciena throughout the network planning phase. As a result, Ciena’s GeoMesh submarine network solution is featured as a part of their dark fiber products that’s specifically designed and tested for these new dark fiber routes to accelerate the time-to-market while minimizing the risk of lighting up much needed capacity. Equinix collaborated with Eastern Light for its dark fiber offering in the Northern European region, where the company announced that the Eastern Light cable would “connect to Equinix’s International Business Exchange (IBX®) data centers — HE6 in Helsinki and SK2 in Stockholm — which are key interconnection points for the Nordics and help facilitate the flow of global internet traffic in and out of the region”. This data center interconnection is considerably more direct and cost-effective than existing routes, and is a key reason why Eastern Light chose Equinix to meet their needs. 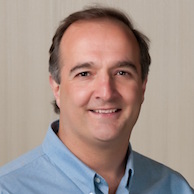 The future is quite bright for Eastern Light’s dark fiber network and Northern Europe. I hace similar idea, but in South América.